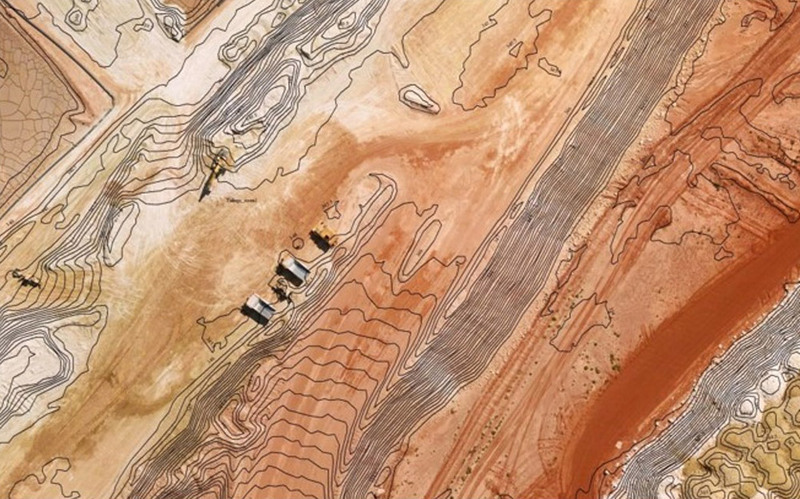 While colour and NIR imagery are being captured, our advanced survey guidance and sensor technology is quietly doing a whole lot more. Images are captured with overlap between frames in the forwards and side direction, together with advance Inertial Measurements and GPS data. Our photogrammetrists then use this data to attempt the extraction of elevation for each image pixel using advanced geometric calculations. Pixel then have a height value and together with their neighbours form a surface model. Each application of this technology can be different. For example, an environmentalist might be interested in the heights of the vegetation canopy while a mine site surveyor is more interested in the bare earth heights. 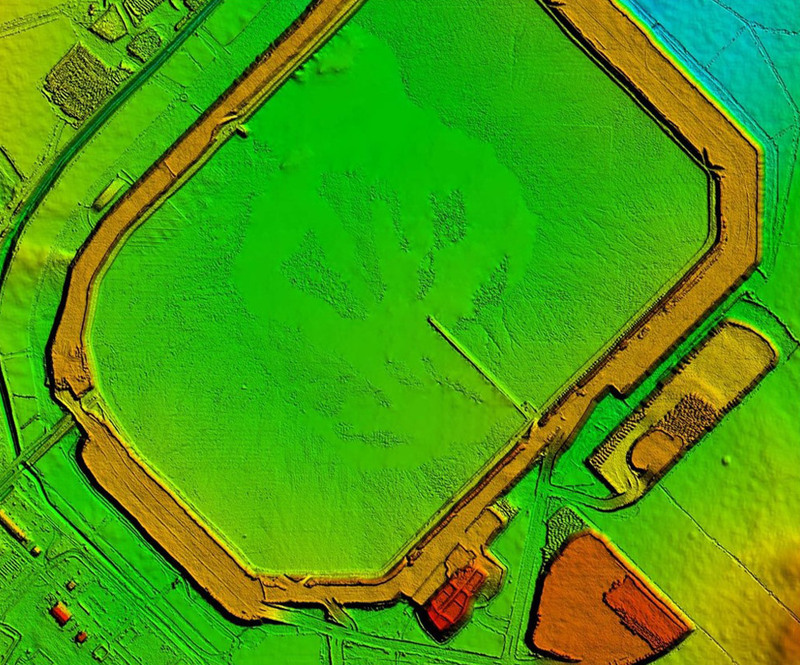 Specialised data filtering algorithms and machine learning tools allows the extraction of above ground features such as vegetation to produce different elevation models. Outline offers several different elevation data products depending on the level of detail and accuracy required for a particular project. Some products are produced from a fully automated workflow, while other products are the result of a full manual 3D vector mapping workflow. Represents terrain (ground) features, as well as above ground features such as vegetation, buildings and other man-made infrastructure. Fully automated workflow with very limited manual intervention or data filtering. Will not represent all above-ground vegetation and building features in full as algorithm is optimised for ground feature mapping. Cost effective product for whole project areas. Typical relative accuracy of 2 pixels or better RMSE. Above ground features such as buildings, fence lines, pipelines etc. can also be mapped and attributed. Typical relative accuracy of 1 to 2 pixels RMSE. One of the key advantages of using Outline Imagery is the accuracy and clarity of the stereo imagery collected. 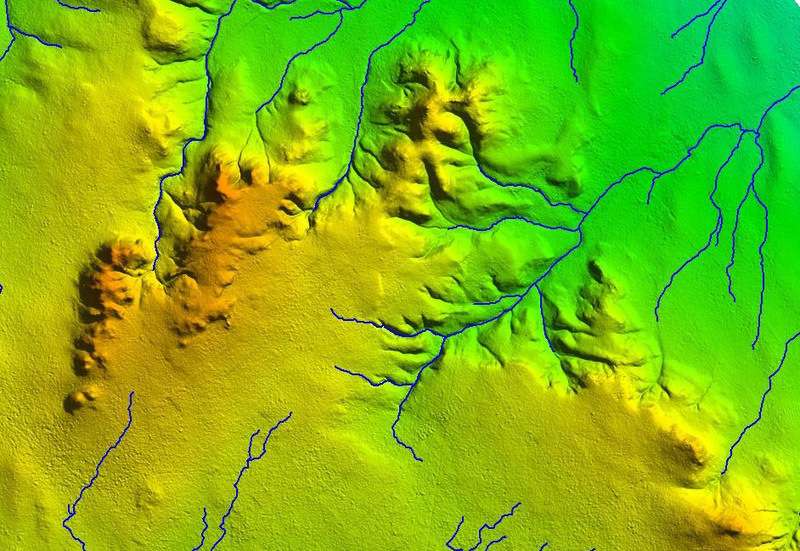 This in turn means that the quality of derived products such as elevation models an contours are superb. Contours are often the most universally common ways of interpreting maps to gauge the lie of the land. 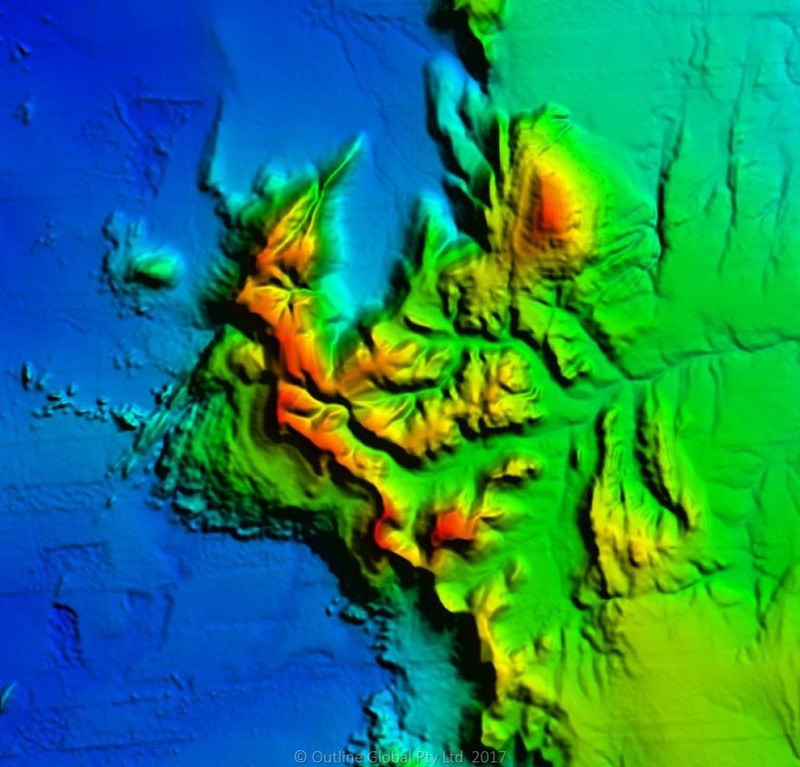 Contours generated from elevation models are only as good or accurate as the underlying data, an important consideration if this data is used for detailed planning.